I read this article and found it very interesting, thought it might be something for you. The article is called Codified survey results downloadable in MS Excel spreadsheets and is located at https://www.bangthetable.com/blog/codified-survey-results-in-excel-sheets/. EngagementHQ now allows you to extract data from your surveys in a codified (and simplified) Excel sheet. This is a feature that has been requested by many administrators who do their own survey analysis in Excel and SPSS (or similar tools) and don’t rely on EHQ’s automatically generated graphs. 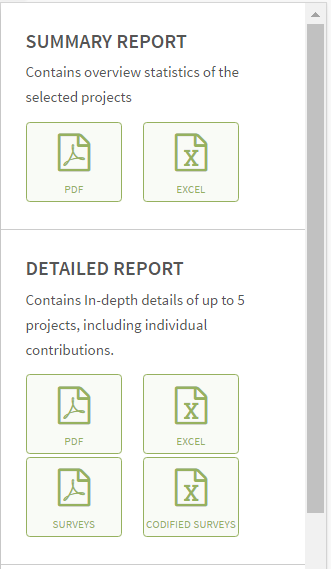 The codified Excel file can be found in a fourth box under ‘Detailed Report’. But not only that, it further provides these values for each response option in separate columns. What that all means is that the analysis of your quantitative data should become much easier.